In this video, Peter Kunstadt and Mike Davey of Kunstadt Sports, will guide you through the many choices of snowboard boots available, as well as the process of selecting the proper boots for you. We encourage you to also view the accompanying video on snowboard and binding selection by following the link below. ​Choosing the right type of Snowboard and Bindings can be difficult. With so many options it can be confusing to decide which snowboard will suit your needs. 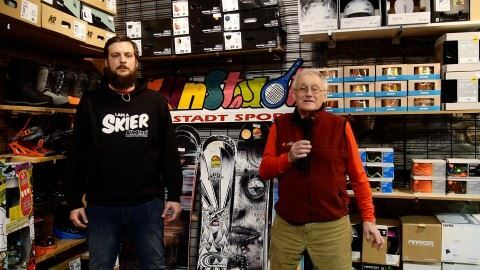 Follow experts Peter Kunstadt and Mike Davey of Kunstadt Sports as they guide you through the many types and styles of snowboards and bindings available today.